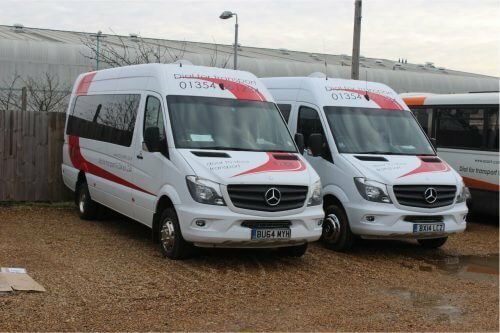 Fenland Association for Community Transport (FACT), along with sister organisations Huntingdonshire ACT and Ely & Soham ACT, may be in breach of Charity Commission law and HMRC regulations according to an audit report seen by Cambridgeshire County Council. The report identified loans of as much as £152,000 which were given by the three Not-For-Profit Organisations (NFPOs) to fund the launches of each of their associated trading companies. Currently, no loan agreements exist to cover this arrangement and no interest has been paid, according to the report. The report stated: “The Trading Companies (TCs) are repaying the loans; when payments for contracts come into the TC bank account, the money is currently being transferred to the NFPO and a record is being kept of how much has been repaid. It was also noted that the NPFOs and TCs share a number of costs and overheads, including shared premises, staff and equipment. These costs are currently paid by the NPFOs and no recharge is made to the TC’s, meaning the NPFOs are subsidising costs which should be properly borne by the TCs. “In order to demonstrate appropriate financial segregation between the NPFOs and TCs, and to avoid creating a tax liability for the NPFOs, the NPFOs need to charge for these costs,” the report said.